No membership or background required! 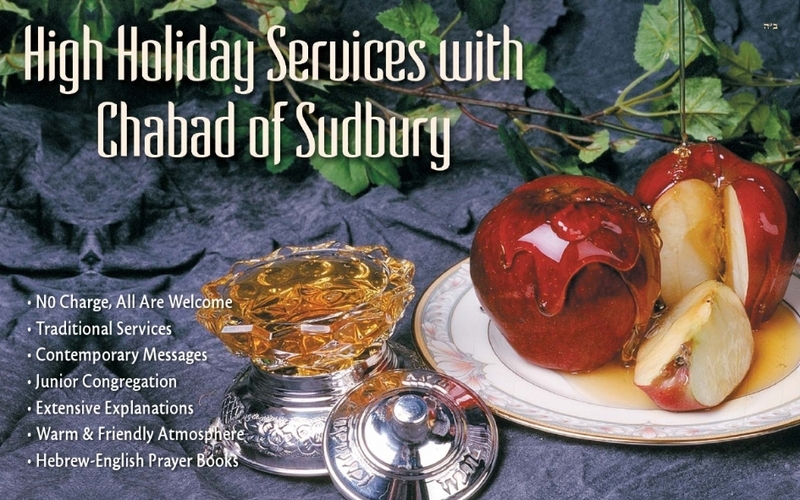 The Chabad Center of Sudbury invites you to join us for our warm and inviting High Holidays Services and Programs. Treat yourself and your family to a refreshing High Holiday Experience that include are open High Holiday Services, exciting interactive programs, and enjoyable community holiday events, all with No Membership or Affiliation required, and no charge for Seats. Our High Holiday services are traditional and meaningful and held in a warm and non-judgmental atmosphere where everyone feels at home and welcome. Our services are geared for secular, traditional, undecided or whatever type of Jew you are. No prior experience or background is necessary for our services, so come and join us and you will find our Services to be user friendly, human friendly, and exciting.  A unique simultaneous children's program and service will ensure that the entire family will experience a positive and meaningful High Holiday experience. The children's program includes a special children's service and interactive activities. There is no charge for seats or any form of membership. Your voluntary contributions are greatly appreciated to help support the High Holiday services and the rich array of year round programming which the Chabad Center of Sudbury provides to the community. As always at Chabad no one is turned away due to lack of funds. In addition, as in previous years we are also planning a Community Rosh Hashanah Dinner on 9/9, a Community Tashlich Service on Monday 9/10 and several Rosh Hashanah Senior Services at local Assisted Living & Nursing Facilities. Please forward this info to others who you think might benefit from the contents. Join us on Monday afternoon Sep 9th for the traditional Tashlich Service at the Grist Mill near the Wayside Inn. Candle-lighting dates and times for the High Holidays with the blessings in English and in transliterated Hebrew. In honor of the High Holidays and the New Year, consider making a one time or recurring donation to the Chabad Center of Sudbury, and help make a difference to the hundreds of lives who are touched each year by the CCS and its programs. Our premier interactive megasite is a perfect companion and guide to the extraordinary range of traditions, practices and emotions inherent in this festive month. Send family and friends an e-card for the New Year and bring a smile to their faces. You can send to 5 people at one time, and include your own personal message. Join us on Wednesday Sep 5th 4 - 7pm for a special Pre Rosh Hashanah Jewish New Year Fair. 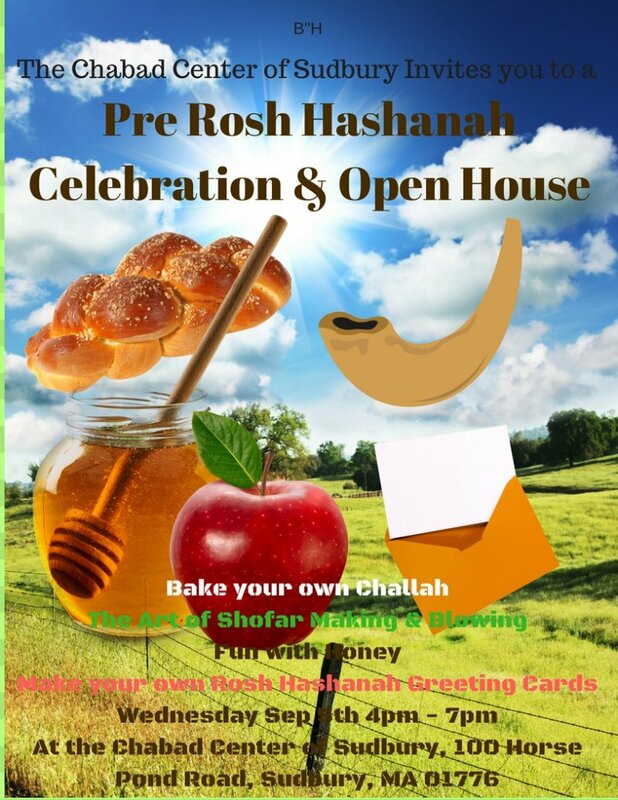 Enjoy a family Challah Bake, Discover the Art of Shofar Making and Blowing, Fun with Honey, Make your own Rosh Hashanah Greeting Cards & Lots More. The children are our future. 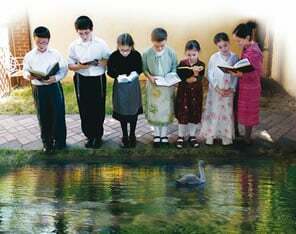 Give them the Jewish education they deserve. Visit the interactive, fun, and exciting children's section on our website.